This week I will be working on yet another Bonnie Hunter Pattern, called Scrap Crystals. 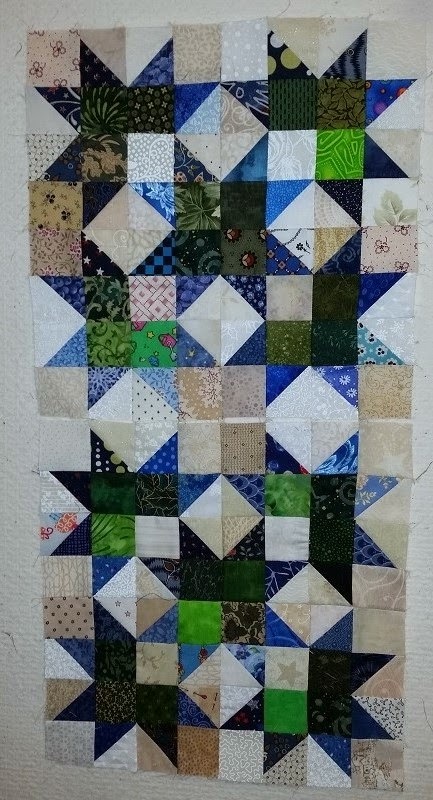 I have two of the 20 blocks completed and almost all the 684 blue/neutral half square triangles done and ready to sew into Broken Dish units. This was started back in Oct 2014 in a workshop with Bonnie. Check out the finished quilt here. Hope to finish this by the end of February to keep up with Twelve in Fifteen! Check out more great design walls at Patchwork Times. Have a great week!